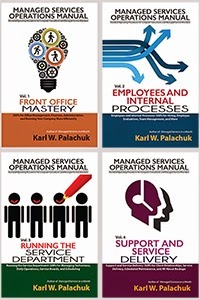 Small Biz Thoughts by Karl W. Palachuk: All New Chapters for Network Migration Workbook Available Now! All New Chapters for Network Migration Workbook Available Now! Yesterday, we have uploaded the PDF versions of two more new chapters for The Network Documentation Workbook. This concludes the new chapters for the Network Migration Workbook. If you are not a book owner, you can get the original book and access to all updates by purchasing the Network Migration Workbook. See http://www.networkmigrationworkbook.com. Chapter 12 is SBS Essentials: New Installations and Migrations. It gives an intro to SBS Essentials and where the product fits in with your solution stack and cloud migrations. We also cover the sales process for SBS Essentials and designing simple environments. Finally, we present a two-part Technology Roadmap Questionnaire for evaluating prospects who might be right for an SBS Essentials migration. Chapter 13 is Checklists for SBS Essentials Environments. Checklists include . 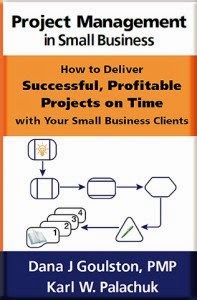 . .
We conclude with some final thoughts on where SBS Essentials fits in your evolving business. 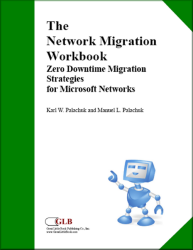 This concludes the new chapters for the 2nd Edition of The Network Migration Workbook! The Big Checklist is updated and has been online for download for a long time. There will be a new Foreword and some additional minor changes to the original book chapters, and we will post all that when finished. These chapters are in draft format, so the final version may be a bit different. But at least 99% of the final product is here. Registered book owners can download these files for free in the member download area at Zerodowntimemigration.com. Here's a recap of the new chapters. Chapter 9 is Cloud Strategies, Cloud Migrations, and Hybrid Solutions. It covers, very briefly, some cloud-based options, and then gets right into materials that's relevant in the SMB space. We introduce the "Server Lite" concept and discuss how we implement it in our business. We describe the process of combining on site storage and active directory with cloud-based services. Chapter 10 is an Example Checklist for Migrating to Cloud Services. These include web services, Microsoft Exchange, spam filtering, and storage or backup. Of course our goal is to achieve this with zero downtime. Chapter 11 is Migrating to Microsoft Foundation Server. It introduces the Windows Server 2008 R2 Foundation or "Foundation Server." We love to install Foundation server as a Server Lite at clients who need only a few services on site. The interesting thing about foundation server is that you can complete the migration much more easily than SBS, even though you need to run a few tools to expand the active directory schema and transfer the FSMO roles. We describe how to do all that in a detailed checklist. Chapter 12 and 13 descriptions above. In addition, several of these files are available in .zip format to save space.